12 DAYS OF CHRISTMAS - Day Twelve - SACSO's Gift to You! 12 DAYS OF CHRISTMAS - DAY NINE - SNOWBALL FIGHT! As Christmas traditions go, finding the perfect movie to cuddle up under a blanket and watch with your loved ones is one of the most important. If you say otherwise, you quite possibly "sit on a throne of lies". Public Affairs have raided their movie collection to find you a selection of GIF's from our favourites, all we need you to do is tell us which movie each GIF is from! Below are the images, when you've figured them out just list the numbers and movie titles in an email to [email protected] with the subject "Day Eight - Guess the Christmas Movie" for your chance to win one of three $25,000 prizes. You have until 3pm ((6pm GMT)) on the 23rd December for this one - if you don't get side-tracked watching them! Christmas is just 5 days away and to celebrate we have more and more competitions for you, just like a Festive Word Search. Get your family and friends together and start searching the words! 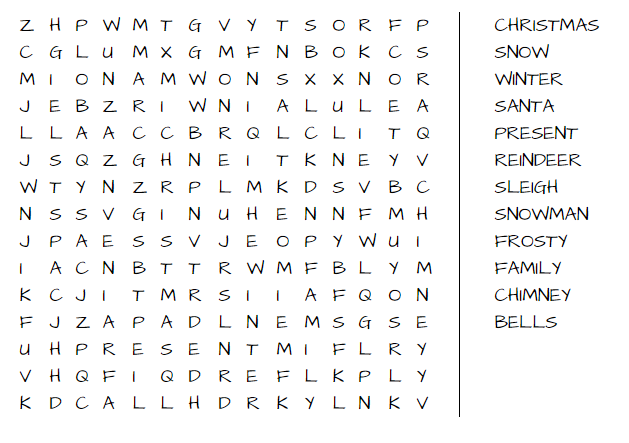 All you have to do is just find the each listed word, and then send an email with them to [email protected] with the title "Day Seven - Festive Word Search"
The competition closes at 3PM ((6PM GMT)) on the 21st December, so you best be quick! The San Andreas Sheriff's Office have teamed up with the newly formed San Andreas Writers' Society for our next competition in which you have to write the best Christmas poem! Your poem can be about anything to do with Christmas - the crisp snow underneath your feet; coming home to a sizzling fire after a long winters' walk; eagerly opening your presents on Christmas morning - the possibilities are endless. The poem can be as long or as short as you like and may follow any format. Once you're happy with your poem, please email it, along with your name, to [email protected] with the subject "Day Six - Write a Christmas Poem Competition". The San Andreas Writers' society will be responsible for choosing the best poem, the writer of which will take home $100,000. There have been a few deputies in the department who've been under Santa's watchful eye. As honorary Santa helpers, it's up to you figure who's been naughty and who's been nice this year. Below will be a list of names of a few randomly selected deputies in the department. It'll be up to you to unscramble the names and submit them in their proper order. Submit the names via electronic message ((PM)) to Deputy Meadows ([email protected]). Winners of the contest will win a cash price of 25,000 dollars. 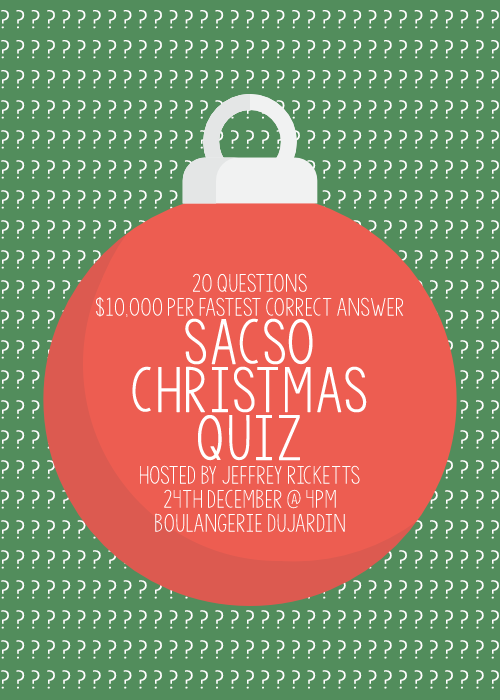 The competition closes at 3PM on the 19th of December.